An underwater digital camera opens up a whole new world of photographic opportunities. Unlike the popular belief that underwater cameras are used only for sports like underwater photography, these compact cameras can be used for capturing memories in tough (and fun!) conditions like the rains, pool days, beach holidays and more. 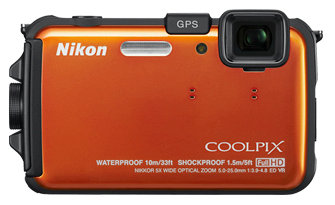 Nikon AW100 is Nikon’s first camera in the under-water category. This rugged 16MP camera comes equipped with a GPS tracking feature. It has a 5x zoom, and is effective to a depth of 33 feet. It is also freeze-proof down to a temperature of 14 F and can survive drops of 5 feet. One of the most interesting and innovative features of this camera is Action Control. This feature allows you to change settings with just camera shake, perfect for the situations when you have your diving gloves on. This 12.1 MP camera is the toughest camera in the market – waterproof to approximately 40 feet (12m); shockproof to approximately 6.6 feet (2m); freeze-proof to 14ºF (-10 degrees C); and dustproof. It also has a built-in GPS function along with other outdoor features like compass, altimeter and barometer. It features a 28mm wide angle lens, with a 4.6x internal zoom. The downside is the image quality, which appears to be a little softer as compared to the other cameras. 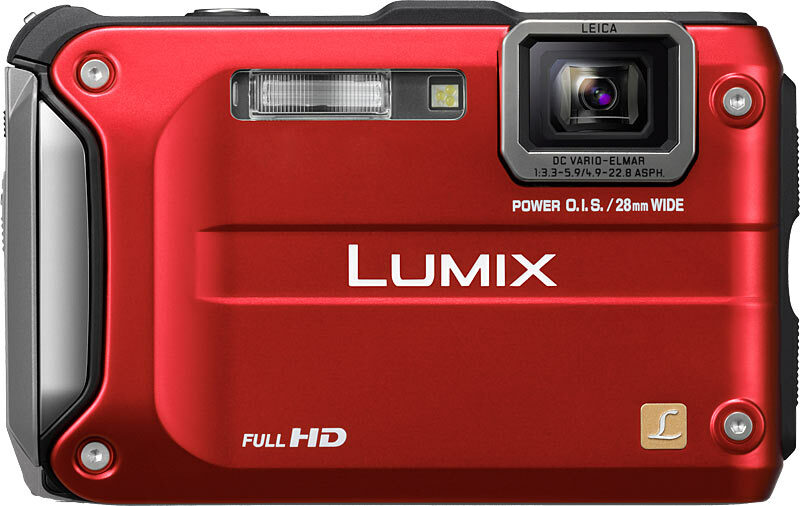 Note: Panasonic has announced the newer version of this model TS4. 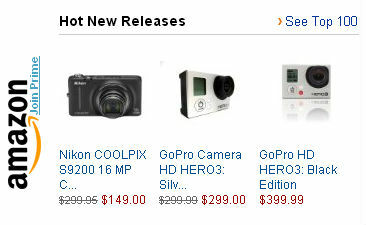 Priced at $399.99, this version is announced to be launched in this month and is available for pre-order at Amazon. 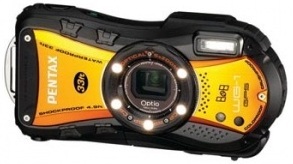 This rugged, 14 MP, waterproof digital camera is adventure proof, and suitable for almost any environment. It comes equipped with a wide angle 5X internal optical zoom lens (28-140mm equivalent) providing flexible capture of subjects near or far. It can survive to a depth of 33 feet underwater and a drop of up to 5 feet. What we love most about the camera is its design. The unique shape with rubber siding provides easy firm grip, which is very useful in underwater situations. 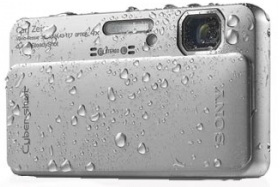 This is an excellent 16.2 MP camera by Sony, which can survive a depth of 16 feet underwater. It is very sleek and is an excellent camera for low-light photography. One very interesting feature of this camera is the ‘isweep’ panorama mode- which allows you to create panoramas with just a sweep of your camera. Another interesting feature is ‘background de-focus’. This feature allows you to get pictures with a blurry background which is a DSLR benefit. It has a Carl Zeiss lens with 25mm equivalent wide 4x Optical Zoom. This camera is Canon’s first foray into the waterproof camera market. 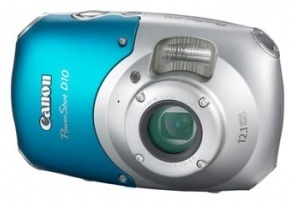 This 12.1 MP camera has a scratchproof lens capable of 3x optical zoom and 4x digital zoom. It is waterproof down to 33 feet, freeze proof and can withstand extremes of temperature from 14-104 degrees. It is also shockproof to 4 feet. This camera comes packed with excellent features like face-detection self timer, intelligent contrast correction, blink detection, 19 shooting modes and 16 scene modes. It is a little bulkier than other cameras in the same range, but it makes up for it by its aesthetic built. Please note that prices listed above subject to change so may be different from what Amazon is posting currently. Also keep in mind, if you don’t mind wild colors like pink and yellow, you can get them a bucks cheaper! Also refurbished cameras can offer a terrific value. Yes, good digital cameras with good quality and help us a lot in taking underwater photos. Previous post: Top WordPress Photography Themes for 2012!